Kate Stoddard, Master of Science in Nutrition (’17), was featured on KPTV’s MORE show! Stoddard has created a line of protein-packed seasoning spices called Orchestra Provisions after graduating from our Master in Nutrition program. She realized there weren’t many truly sustainable protein options out there, and wanted help improve our food system. Kate told the Boise Weekly in a recent interview “I had a project on iron deficiency anemia, and I just kind of randomly dug up all of this science and research about eating insects, and in particular a tribe in Africa that has never battled iron deficiency anemia, and yet they’re kind of hunter-gatherer folks that don’t eat meat at all.” She discovered the answer to their immunity: “They regularly chow down on bugs.” Read the article with writer, Lex Nelson, and the Boise Weekly here. 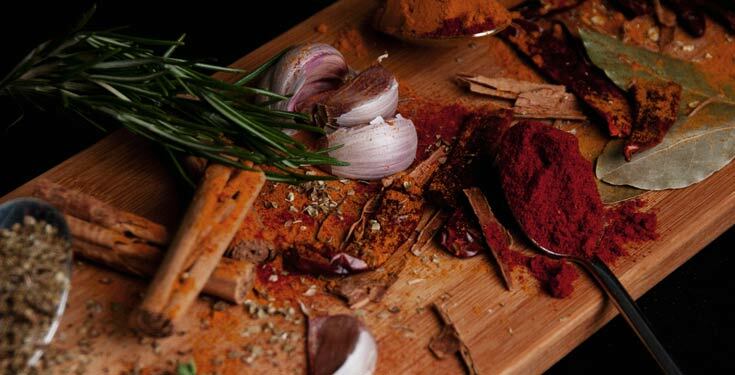 There are variety of flavors in her gourmet seasoning line including curry powder, pico-grillo, chai-spice, cajun-wings, za’atar, togarashi, Himalayan sea-salt and more. According to the reporter, who interviews her, the crickets are completely undetectable and Orchestra Provision’s spices are beyond yummy. We can’t wait to order ours! Watch Kate Stoddard chat about her new spice line here.